Community VNA has been fortunate to have a history of strong, visionary leaders who are dedicated to serving the community. 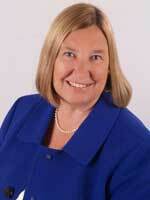 Alyce Brophy, RN, BSN, MPH, joined Community VNA in 1995 and was appointed President/CEO of Community VNA in May, 2001. She provides direction and operational leadership through her commitment to the changing needs of the communities served by Community VNA. Her concern about the lack of qualified home health aides led to a three-year grant from the prestigious Robert Wood Johnson Foundation to train and certify aides in Somerset County. Under her guidance, the agency implemented a new computerized charting system, expanded services to the community and pioneered emergency readiness in Somerset County. She has written and been awarded multiple grants, financially supporting creative health initiatives through Community VNA. The recipient of numerous awards, in 2009 Ms. Brophy was honored with a Nurse Recognition Award from the New Jersey League of Nursing. She received the Martha Esposito Award from the Home Care Association in 2006 and she also is the recipient of the Sigma Theta Tau Outstanding Achievement Award. She serves on the Board of the Home Care of New Jersey Foundation, Home Care Association of New Jersey and the NJ Maternal-Child Health Consortium. She is a member of the Somerset County Bioterrorism Taskforce Committee, the Somerset County Health Access Task Force, Raritan Valley College Professional Advisory Committee, the New Jersey Public Health Association, the National Association for Home Care and the Visiting Nurse Association of America. She is also a member of CERT – Community Emergency Response Certified Responder. Ms. Brophy received her RN from County College of Morris and her Bachelor of Science in Nursing from William Patterson College. She earned her Master’s degree in Public Health from Rutgers/Robert Wood Johnson University Medical School. "Thank you so much for all of your help and kindness to my mother and our family. My Mom liked all of you so much. She was a very special person and having her here with us was a blessing. You are all a special group of people and thank God for you. "